Are you interested in the solar industry in China? Are you curious about where the solar industrial cluster is in China? 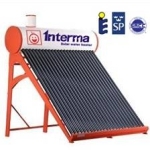 Are you finding the best solar products from China? Now, no hesitation any more, you will be led to the most well-known solar industry base in China – Haining. Rechargeable Copenhagen Wheel comes onto the market. 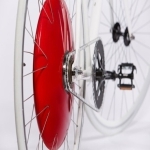 Recently, a start-up company called Super Pedestrian launches the rechargeable Copenhagen Wheel" to the market at a price of $ 700.